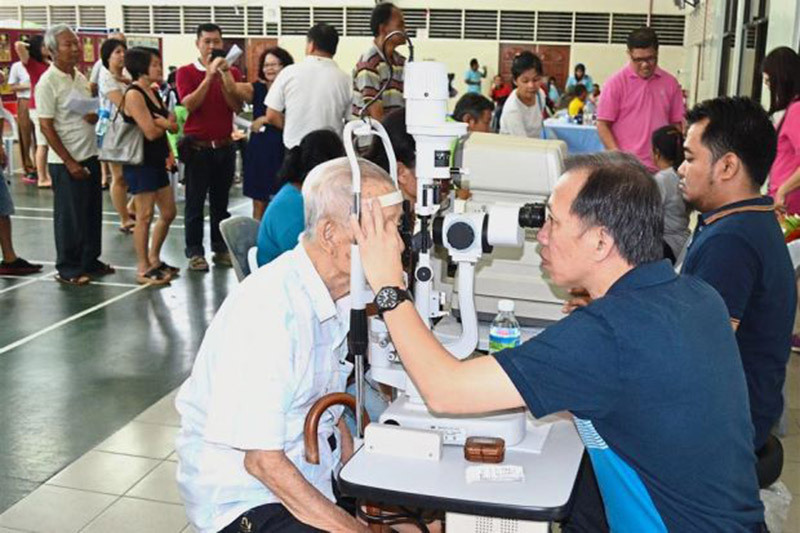 TWENTY-five needy people will undergo free cataract surgery courtesy of the Penang Medical Practitioners Society (PMPS). 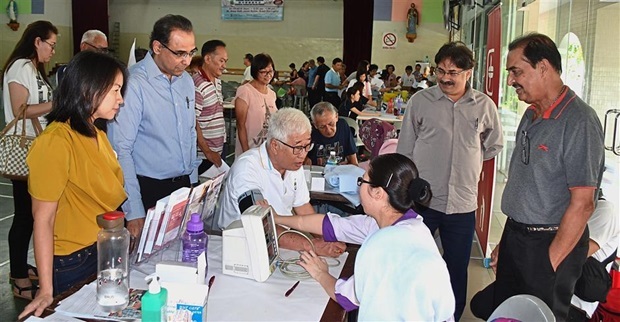 President Dr Ajay Kumar Sharma said the patients were among the 121 people screened during the Penang Health Carnival 2018 held at the St Anne’s Hall in Bukit Mertajam, Penang. He said the surgeries would be carried out at Penang Adventist Hospital, Bagan Specialist Hospital, Island Hospital, Kumar Eye Specialist Centre and Lam Wah Ee Hospital under their corporate social responsibility programme. Dr Ajay, who is also the event’s organising chairman, said the state Welfare Department helped pick the patients from among the low- income group. Meanwhile, as part of the Penang Sihat programme, he said Bukit Mertajam MP Steven Sim’s service centre has agreed to provide cash vouchers worth RM50 each to the first 50 participants who are above 55 years old and have normal or well-controlled blood pressure and blood sugar. He added that the idea toprovide the cash voucher was to encourage the people to maintaina healthy lifestyle. “This will help to reduce dependency on medication and also bring down healthcare costs in the state and also in the country. It will help make Penang the leading healthiest state,” he said. Phee having his blood pressure checked during the Penang Health Carnival at the St Anne’s Hall in Jalan Kulim, Bukit Mertajam. Looking on are (from left) Heng, Dr Ajay, Dr Paramjit and Dr Kulwaran. Dr Ajay said apart from eye screening, 20 volunteers donated blood, 261 people underwent examinations for blood glucose, blood pressure and body mass index, 117 people examined their teeth at the dental unit while 143 people underwent screening for osteoporosis. He also said that men aged 70 and women after menopause must go for bone density check-up as the chances for them gettingosteoporosis was high. “These two target groups must go for an examination. The reason is because if you have weak bones and happen to fall, you could easily end up with fractured bones,” he added. State Welfare, Caring Society and Environment Committee chairman Phee Boon Poh, who launched the recent event, said health awareness among Malaysians was stillrelatively low. “Awareness is something you know, and have the ability toforesee what you can do and what could happen if we do not keep ourselves healthy. “We will end up becoming a burden to others and as such we must be committed to taking care of ourselves by staying healthy,” he said. Berapit assemblyman Heng Lee Lee praised PMPS for organising the medical carnival on a grand scale. “This event is a good one which attracted people from as far as Kedah. More of such events should be organised in Bukit Mertajam to benefit the rakyat,” she said. Also present were PMPS past president Dr Kulwaran Singh, its incoming president Asso ProfDr B. Sivakumar, its secretaryDr Paramjit Singh as well as eye specialists Dr Sri Kumar Nair and Dr Teoh Hian Jin.